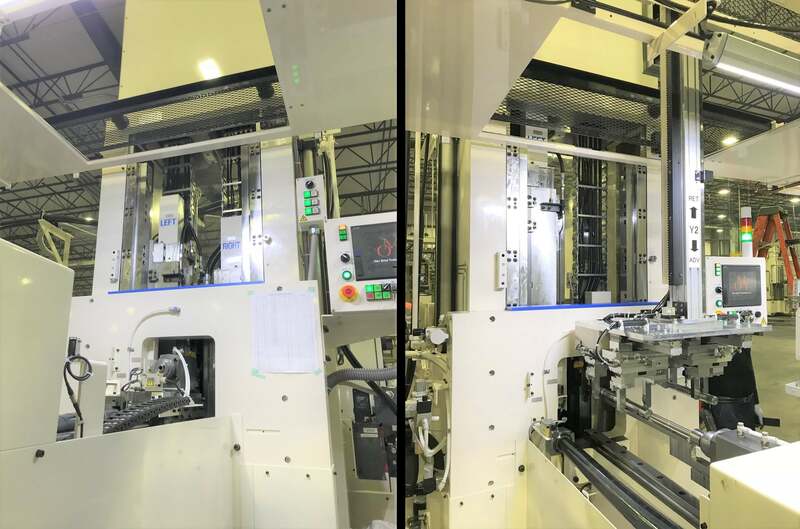 In March, US Koshin and NHK Builder (who is a Japanese spline rolling machine company) installed a new spline rolling machine at one of our customer’s plants. This machine is driven hydraulically and can create a spline diameter of 35mm. It features a space-saving, vertical rolling design and can be automated to work with material handling robots and other loading devices. Another important feature is the rack and pinion design, which synchronizes two forming tools at the same time. This ensures that there are no pitch errors in the finished spline since pitch error can be a serious contributor to quality issues. Please contact US Koshin for more details on our selection of spline rolling machines, each customized to your needs!